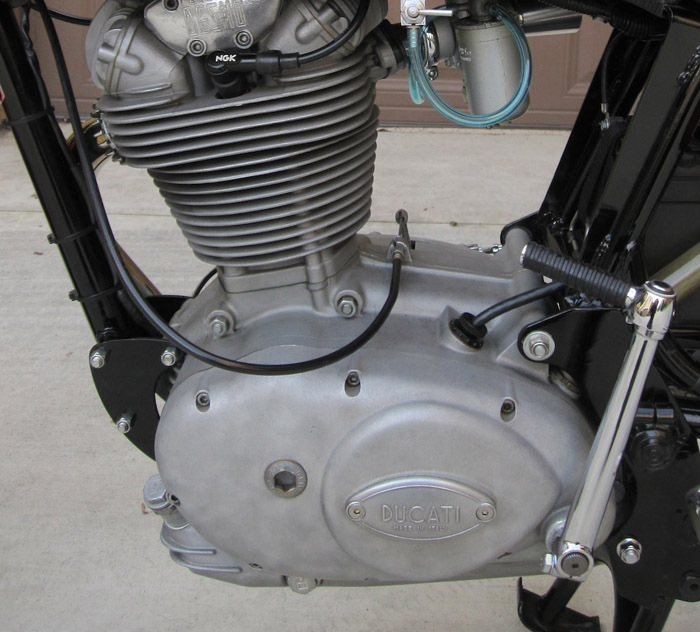 1969 Ducati Mark 3 450cc Desmo NO LONGER for sale. This is a completely and professionally rebuilt (all engine work done by Rich Lambrechts) bike. It has a very desirable Desmo head (unlike some singles that come with regular spring valves one) and tons of racing upgrades. Most notable 4LS 230mm Grimeca brake in front, 29mm SS1 racing carb, Excell rims, Tommaselli clip-ons, and the original (not replica) fairing. Lucas Rita 12V electronic ignition conversion, so the lights are bright and reliable. Street legal/ registered in So Cal. Winner of Best Vintage at Laguna Seca Ducati Island contest in 2009. 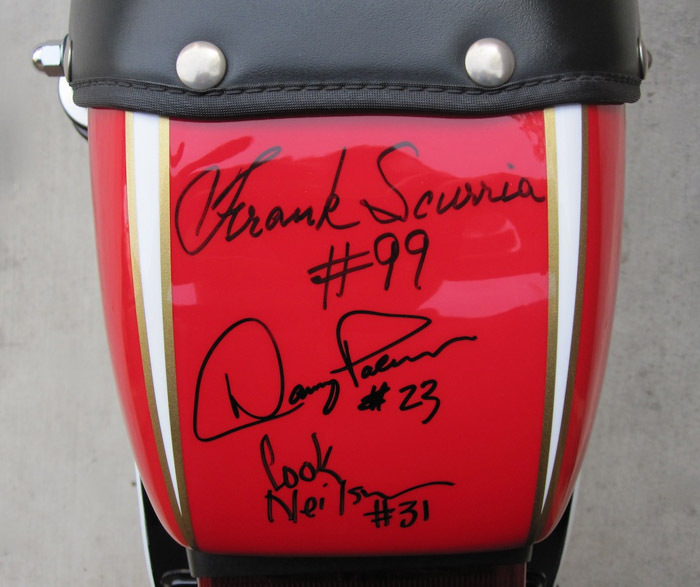 The bike is autographed by three famous Ducati racers of the era: Frank Scurria, Cook Neilson, and Doug Polen. Easily over 10K invested without labor and the bike is worth close to that in parts alone. It is fast and reliable for everyday rides or a showroom centerpiece. Not a fire sale, just contemplating a new project. Would like to sell locally, but can arrange shipping at buyer's cost. E-mail with any questions.